Is The Havana Brown Cat Good For You? The Havana Brown cat loves to be in the company of humans. Unlike most cat breeds, Havana Browns use their paws to explore rather than their nose. Havana Brown cats are known as friendly, loving, and intelligent creatures. 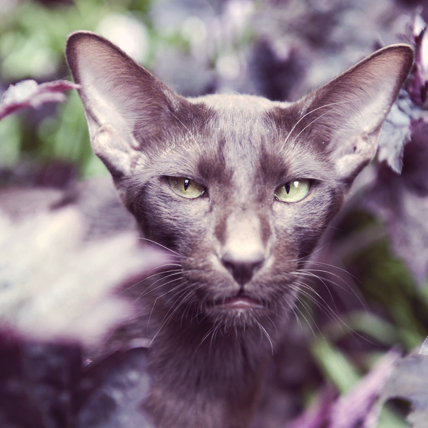 First developed in the ‘50s, the Havana Brown came to be as the deliberate result of breeding solid black seal point Siamese cats with Russian Blues, resulting in this green-eyed, chocolate kitty. Originating in England by cat fanciers looking to create a self-brown cat, they were sent over to North America right out of the gate, where they have been maintaining the look for years. The most notable feature of the Havana Brown is their namesake brown coat that evenly covers their body like a cat dipped in chocolate. Even their whiskers are brown. Their nose and paw pads are a pale pink, which beautifully contrast with their luxurious fur. Fairly Siamese in build, they maintain the same sleek appearance, except with brown fur and stunning green eyes. The Havana Browns are notorious for their tender and affable nature. They love being around people and love playing games. The Havana Brown has a soft, soothing voice that they use to get their owners attention. They choose to use their soft paw pads to do most of their exploring, rather than sniff around like most cats. They are also wicked smart, and have been known to train their owners, so watch out! The Havana Brown cat is, as you might have already guessed, brown. They are generally healthy with not many hereditary health conditions are reported for this breed.